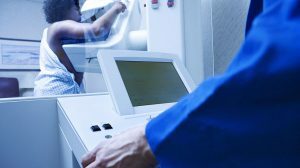 Radiation treatment has the potential to cause brisk skin reactions through inflammation. For breast cancer, underarm deodorant has been a theoretical concern for a worsened reaction. I learned this bit of oncolore during residency – but in my opinion it’s wrong and makes treatment unnecessarily harder for patients. Before and as treatment begins, nurses and doctors often advise breast cancer patients to avoid aluminum-based deodorants – which is most of them – or avoid them completely. This is true also with putting creams or lotions on before radiation treatments, even if they are supposed to help the skin. What’s the big deal? In breast cancer, the radiation skin reaction can be significant with redness, irritation, a rash, dry flaking or a more significant sunburn-like peeling reaction. It can be painful and distressing. The theoretical concerns are the following: deodorant and creams may be thicker on the skin; aluminum will increase radiation dose through scatter to the skin gets; or that absorption of aluminum or chemicals from the topical creams will lead to a worse skin reaction. So putting these on the axilla (underarm) may worsen skin reactions. These reasons simply don’t hold up under study. 1. There is no significant increased skin dose with deodorants or lotions if well applied and absorbed. A study done in 1997 showed that there is a maximum increased dose of 2.4% with deodorant, 0.3% with powder and 5.4% with lotions when placed on a polystyrene phantom. The averages were 1.7% for deodorant and 2.4% for lotions on small fields – higher than would occur in actual treatment. Metallic samples made no difference in dose. If the topical agents were caked on, there were more significant increases but if reasonably well absorbed there is nothing that physics suggests increases the dose. 2. 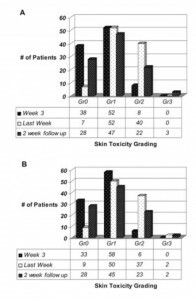 Randomized trials don’t support any increased skin reaction. Clinical trials have been done to evaluated deodorant use. A 2009 study from Quebec randomized 84 women to a non-aluminum deodorant compared to none. 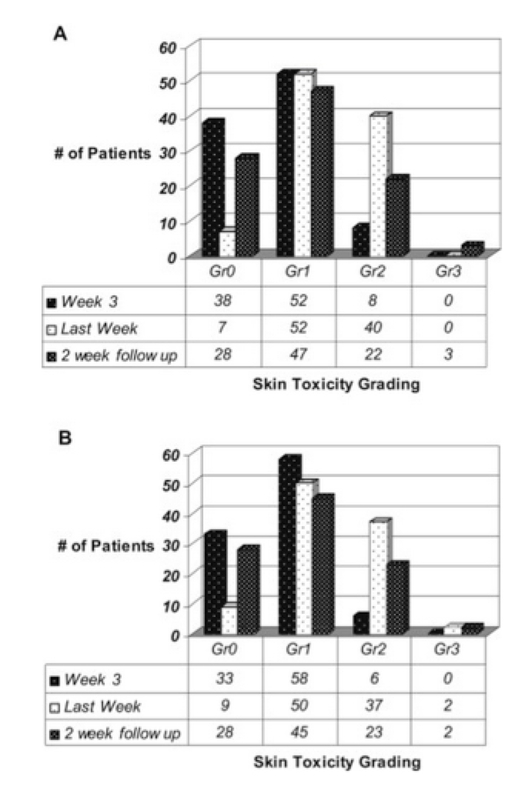 Women using deodorant had less sweating (18% vs 39%) and no difference in axillary reactions. Another study from Calgary randomized 198 women with stage 0, I and II breast cancer to aluminum-based antiperspirant or none. Again, no significant differences in skin reaction or quality of life. 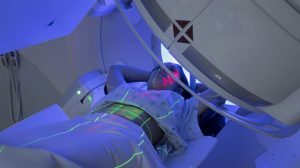 Radiation oncology recommendations for skin care can make it more stressful for patients during treatment. First, avoiding deodorant affects body image and odor. One report confirms that over 60% of women worry about body odor when avoiding antiperspirants. Who wants to go to work worried you may smell after getting zapped? Second, it adds an unnecessary stressor about when to use creams or lotions – if well absorbed, there should be no reason that women can’t apply them before radiation and not have to struggle to put it on at inconvenient times after treatment or later in the day. Of course, we still don’t understand enough about who gets skin reactions, or why. A clinical trial to identify potential genetic factors just closed recently. There may be some women (and men) who do have a reaction because of aluminum exposure. We do try to reasonably lessen exposure to chemicals in perfumes or scented soaps. During treatment, individualized decisions still are very important. But for now, ask your doctor whether you really need to sweat it.